Mark Redman verbally committed to Washington during an unofficial visit on Friday. He flew from Seattle to his home in Newport Beach, Calif., on Saturday. He worked an eight-hour shift at Ace Hardware on Sunday. Forgive the joke, but this 6-foot-6, 250-pound tight end has all the tools. “I’ve told people this, but I love pass-blocking and run-blocking some plays, because I just want to take my anger out,” Redman told The Times on Sunday night. “But on other plays you’re 1-v-1 with a linebacker or a DB and you just want to make a quick stick and catch the ball and get up field and get a touchdown. Which is exactly what Washington’s coaches will soon ask him to do. “(We look for) just the ability to do multiple, multiple things,” UW tight ends coach Jordan Paopao said on Monday. “It’s one of the true unique positions, quite honestly, where you’re an extension of the offensive line so you’ve got to be able to do the dirty work at the line of scrimmage. They found one in converted defensive lineman and current Seattle Seahawk Will Dissly. They found another in recently departed senior Drew Sample. The list also extends to 2014 second-round pick Austin Seferian-Jenkins. 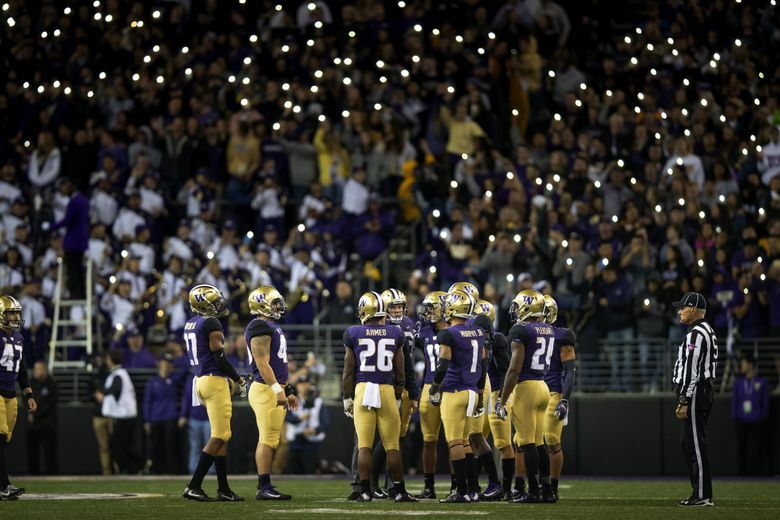 At UW, Chris Petersen and Paopao have demonstrated the ability to develop talent. But that’s not the only reason Redman abruptly ended his recruitment. Redman, too, may be a perfect fit for UW — especially considering the fact that the Huskies failed to sign a tight end in 2019. There are currently four scholarship tight ends — juniors Hunter Bryant and Jacob Kizer, sophomore Cade Otton and redshirt freshman Devin Culp — on the roster this spring. The three-star Corona Del Mar High School standout received scholarship offers from the likes of Alabama, Georgia, LSU, Michigan, Ohio State, Penn State, Texas A&M and USC. But he made the decision instead to join his high school quarterback — three-star 2020 commit Ethan Garbers — at UW. But Redman didn’t commit for a quarterback. He committed for everything else. “It’s kind of weird. I thought I’d be nervous (to commit), but I wasn’t,” said Redman, who gave Petersen his verbal pledge in person at dinner last Friday. “I think it’s because it’s the right fit and I know that deep down inside. Redman — who is ranked as the No. 10 tight end in the 2020 class by 247Sports — will have those things … eventually. Until then, he has to work — and not just on his routes. “Both my brothers worked there before,” Redman said of his nearly two-year stint at Ace Hardware. “It’s kind of a family trend, we call it. It’s awesome, because it just shows what actual life is like. You’re not just going to get everything your way. You’ve got to work for stuff. It’s taught him how to build a grill, for example. It’s taught him how to operate a cash register. It’s taught him that even a highly touted tight end has to clock in at 10 a.m. two days after announcing his verbal commitment to Washington. With his senior season looming, Redman still has a lot to learn. But he knew enough to end his college recruitment eight months early.